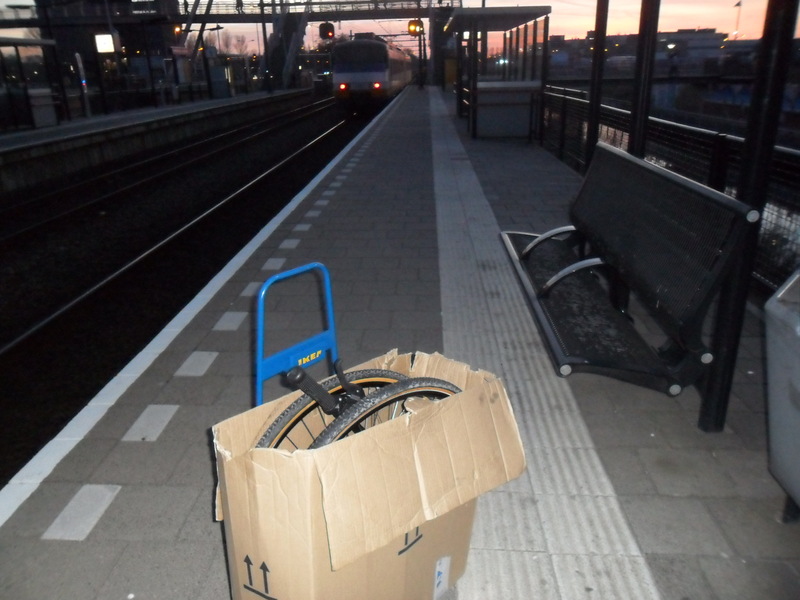 The picture is from the return journey after collecting. 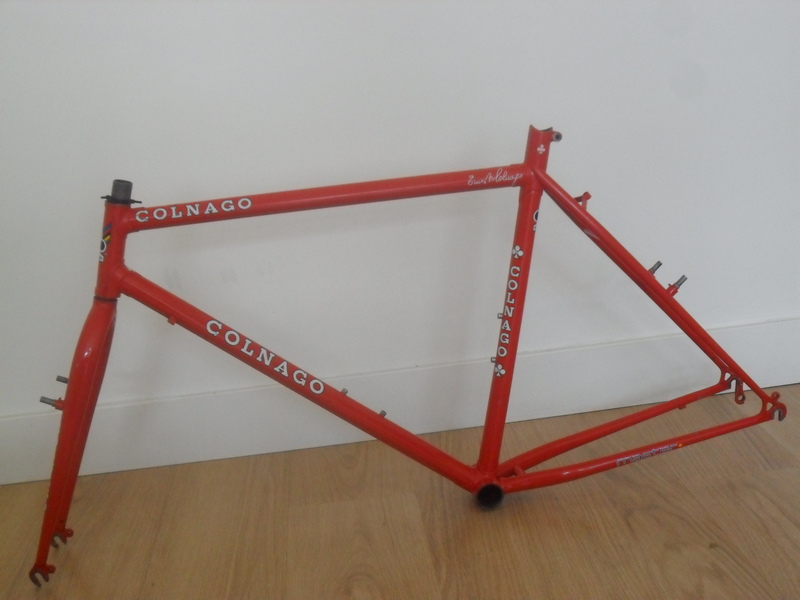 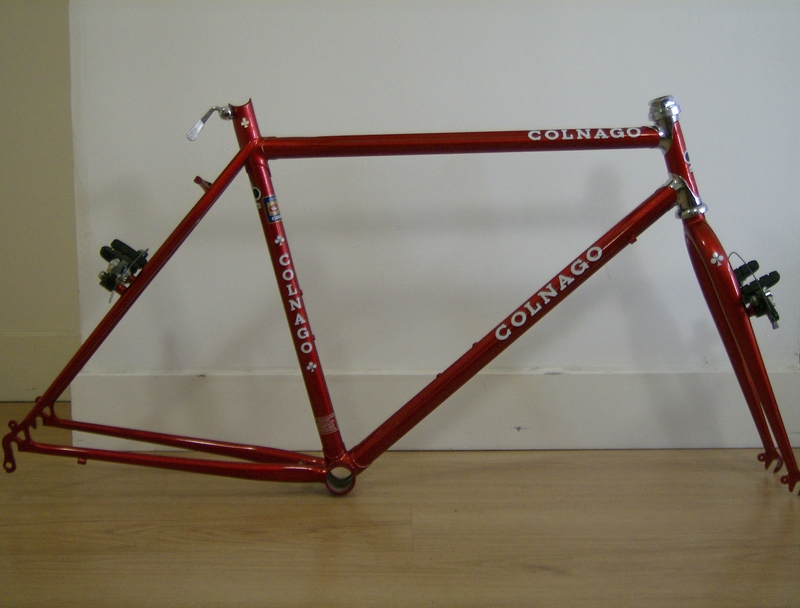 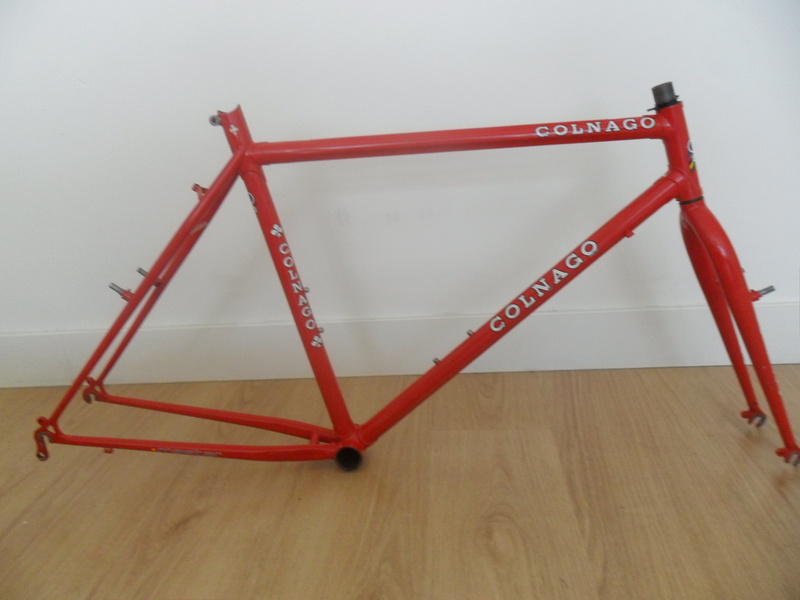 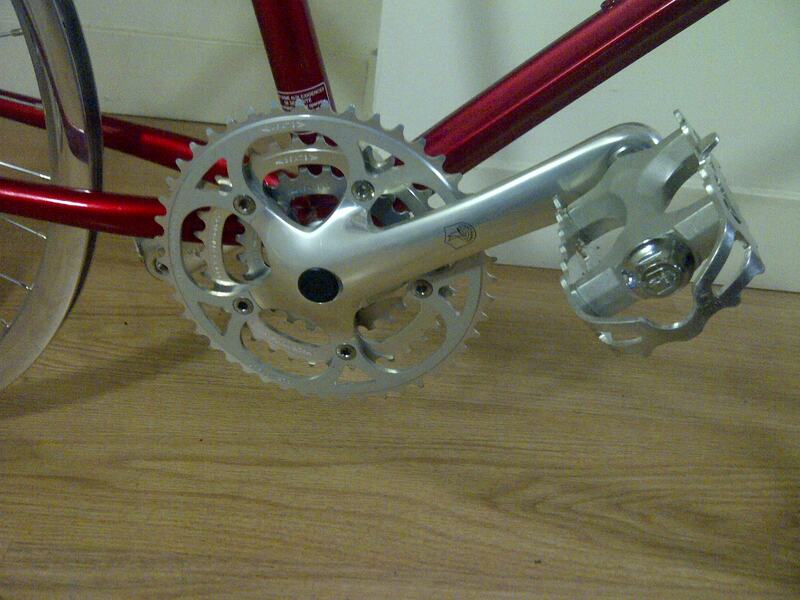 Factory fitted with full Shimano Deore XT,the frame is in remarkable condition, bar a few paint chips. 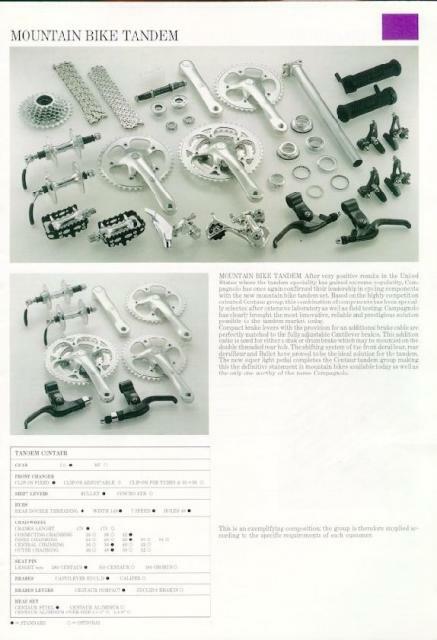 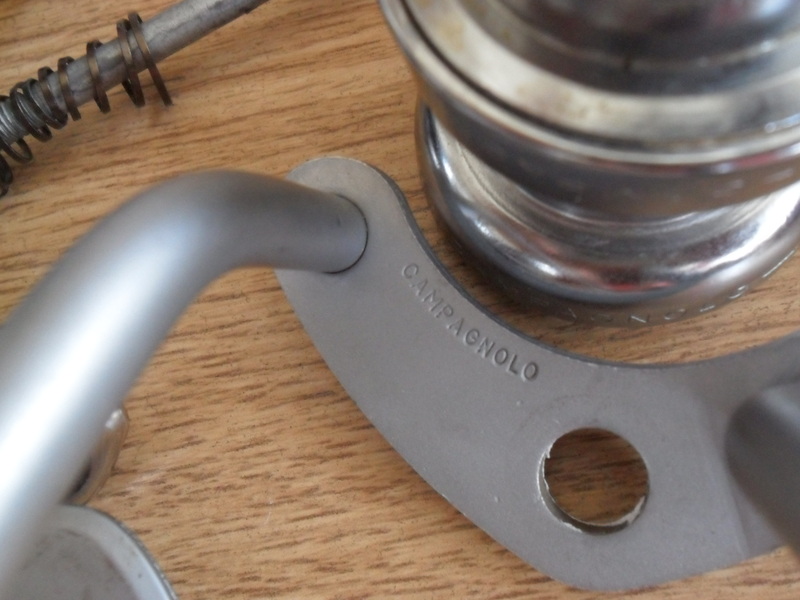 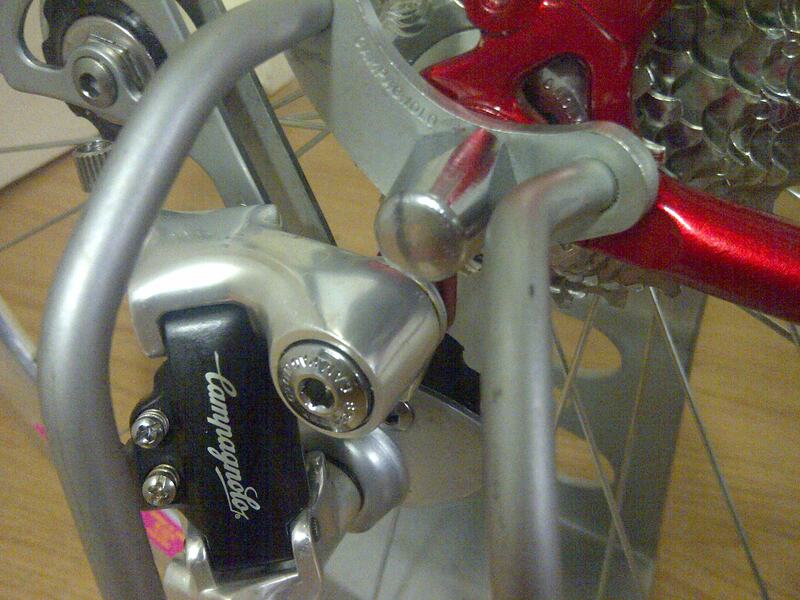 a practically nos Campagnolo Olympus MTB FULL GROUPSET!!!!! 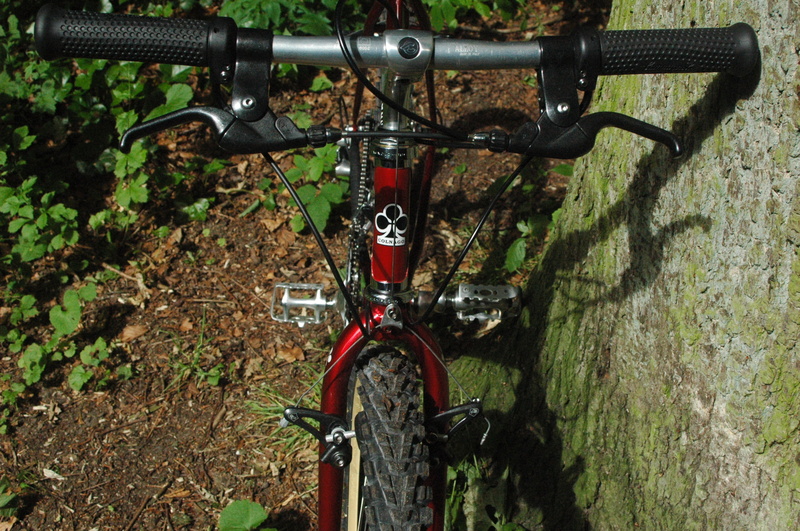 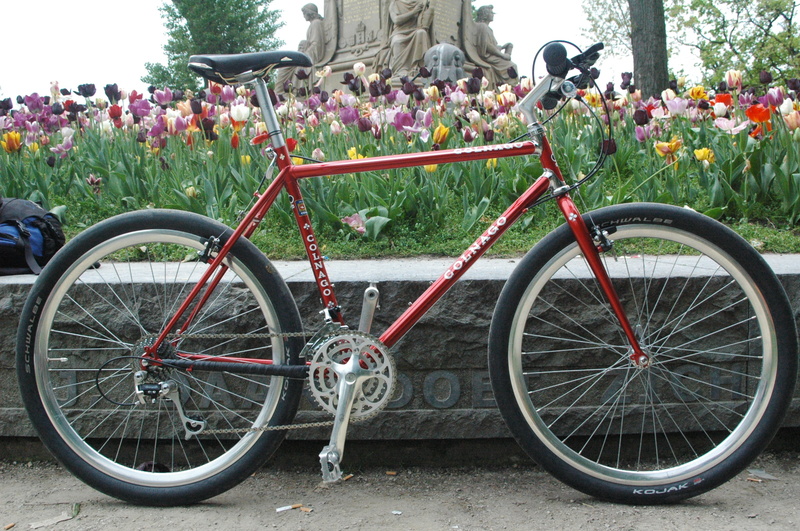 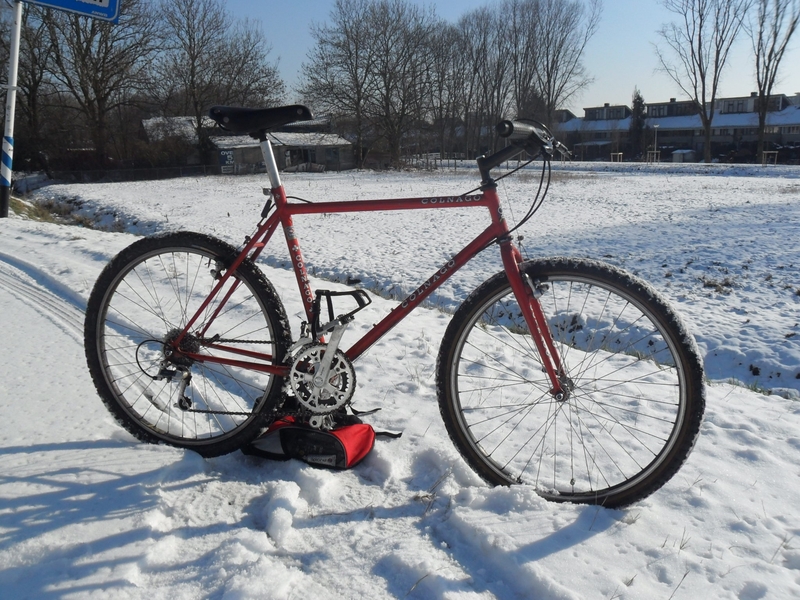 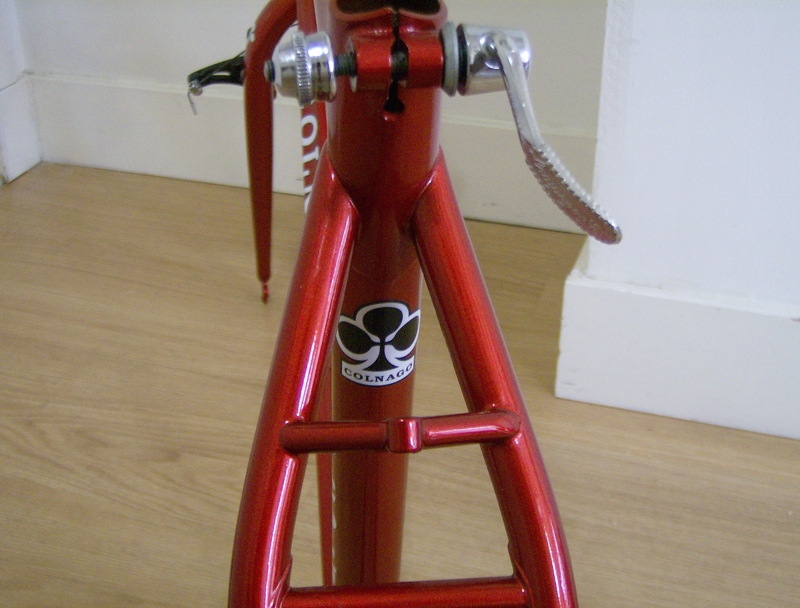 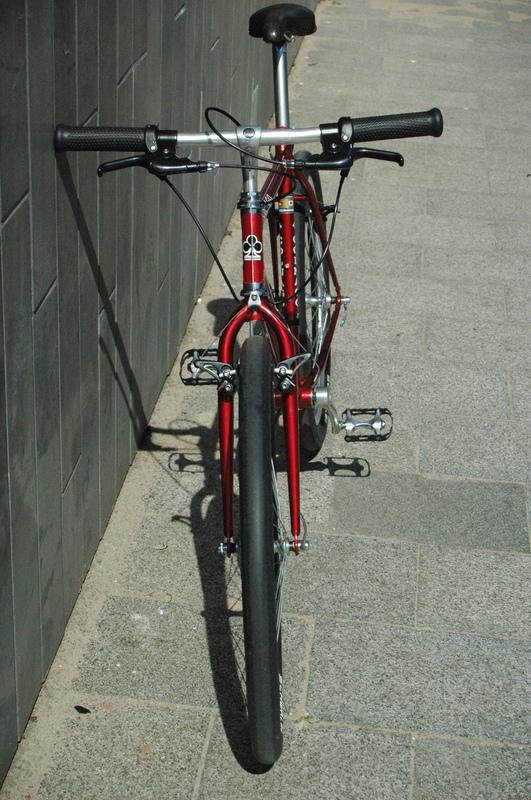 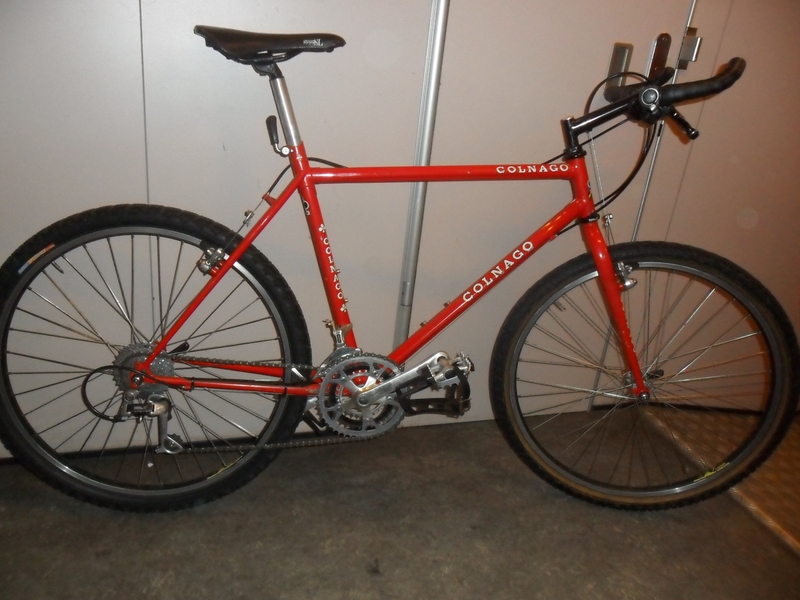 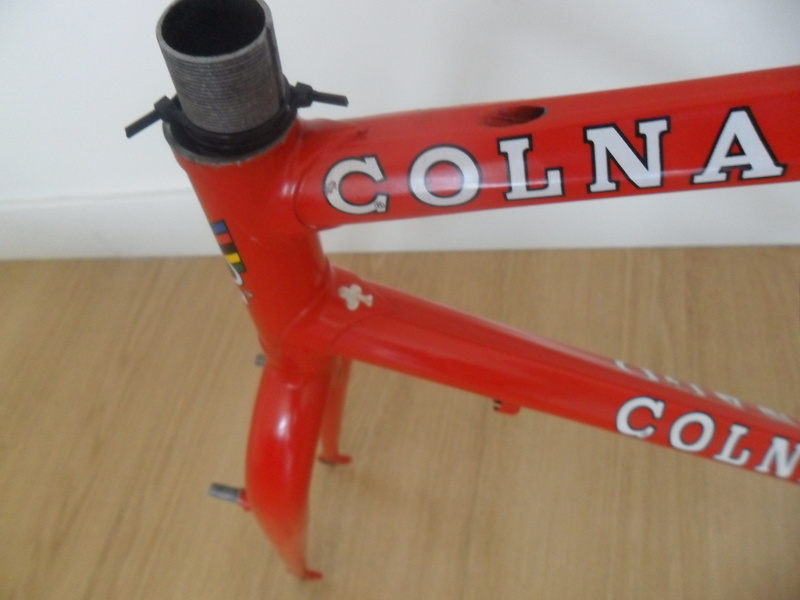 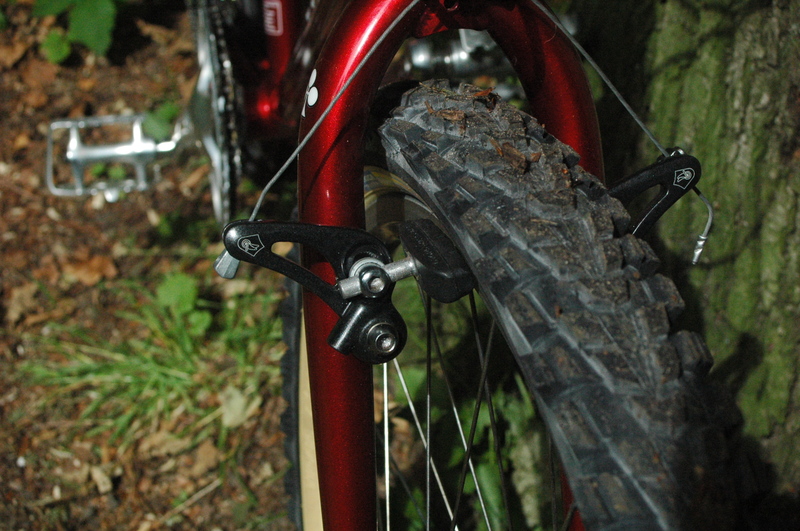 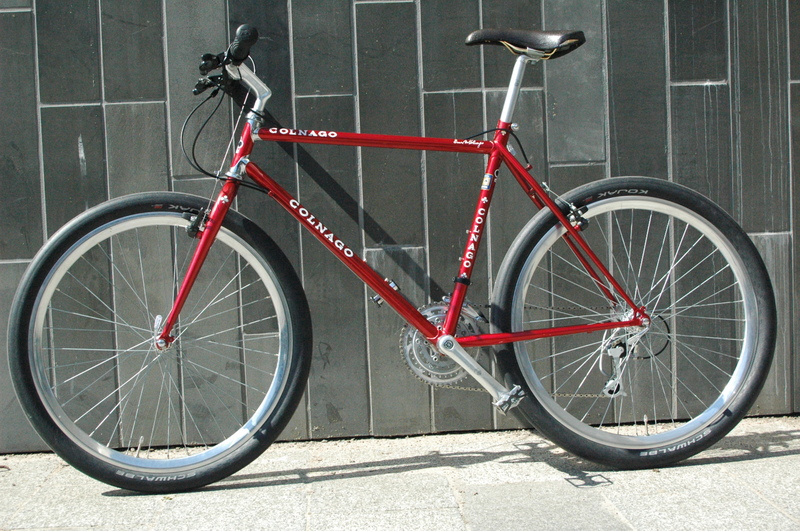 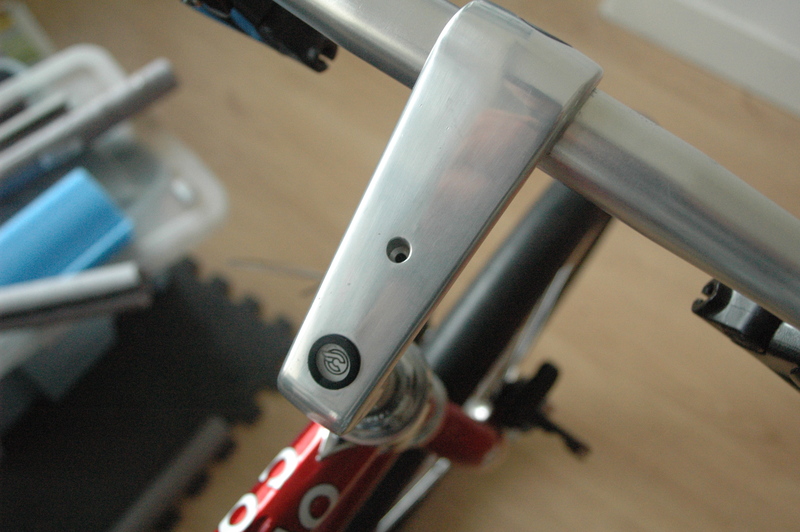 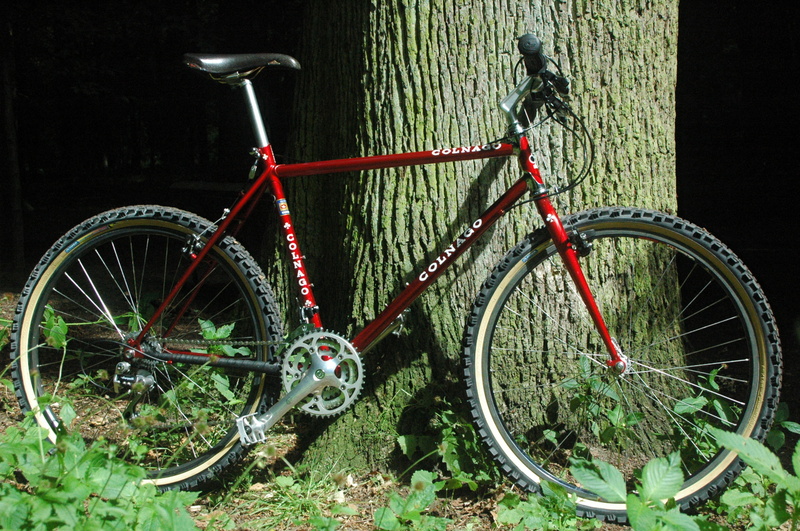 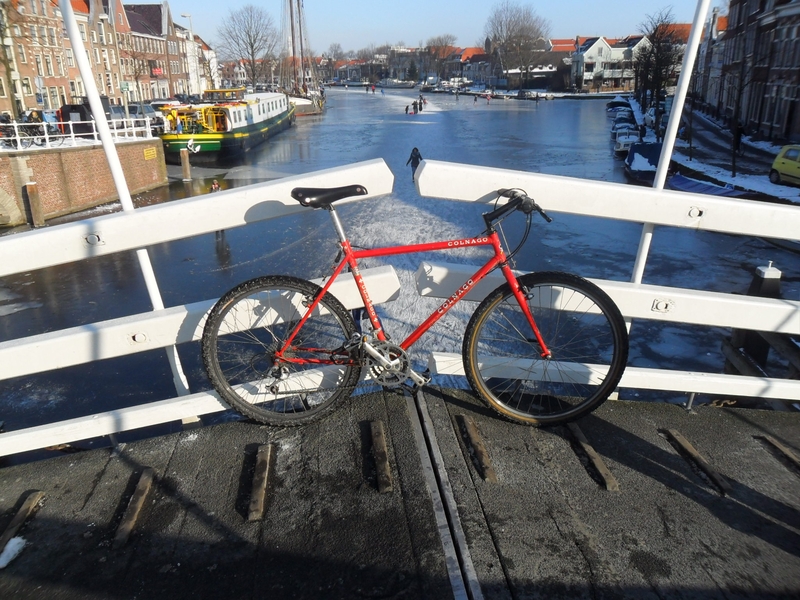 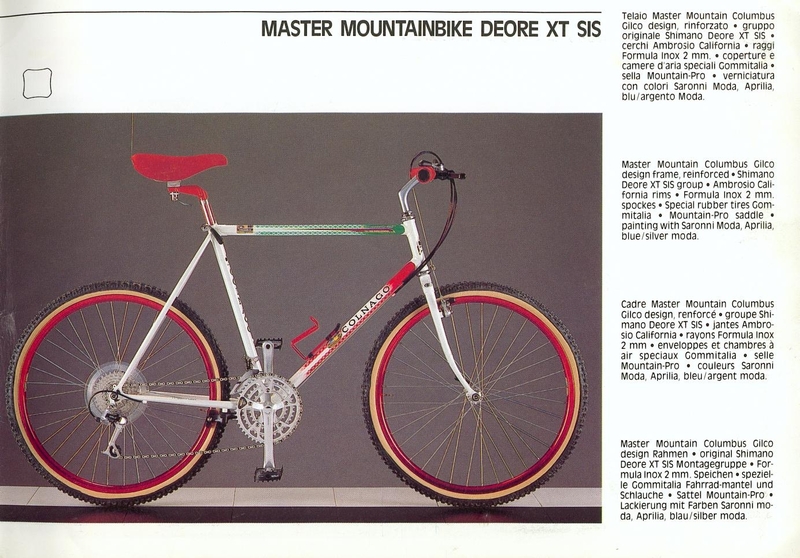 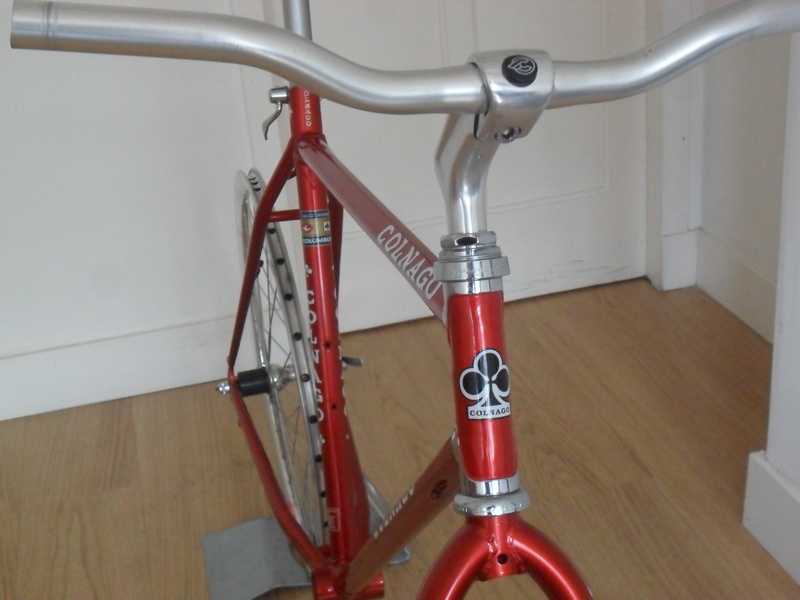 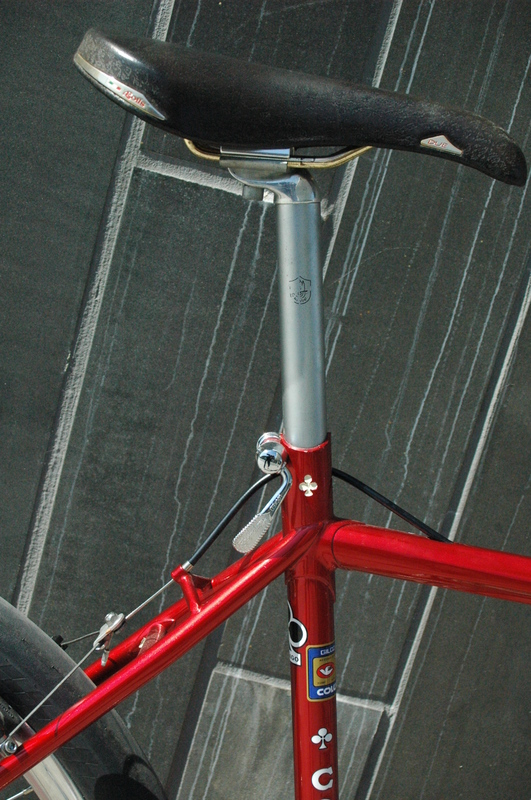 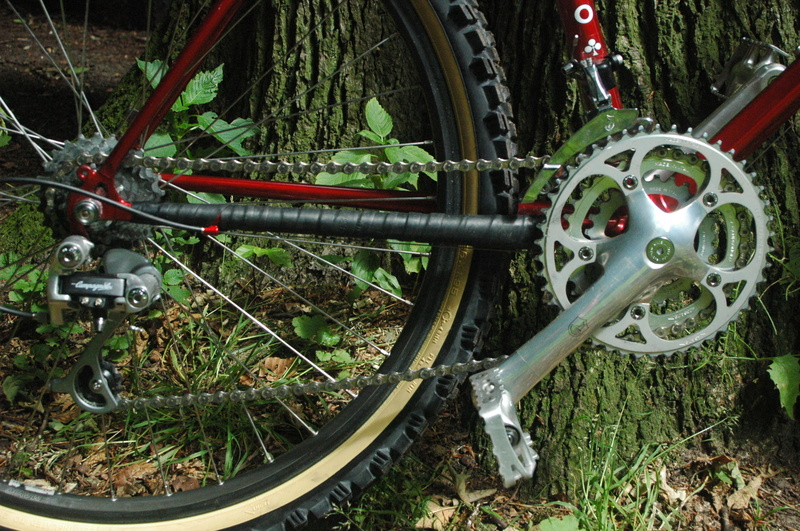 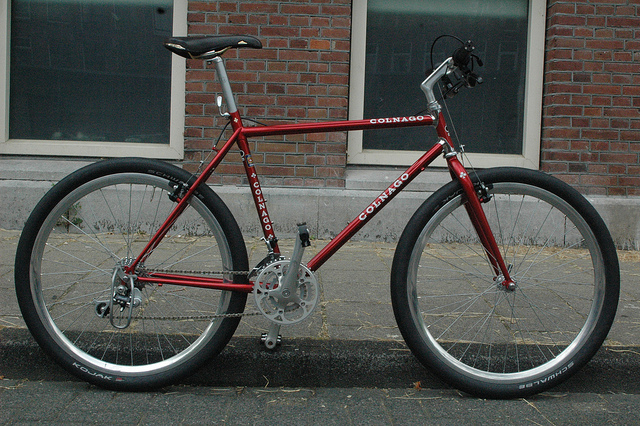 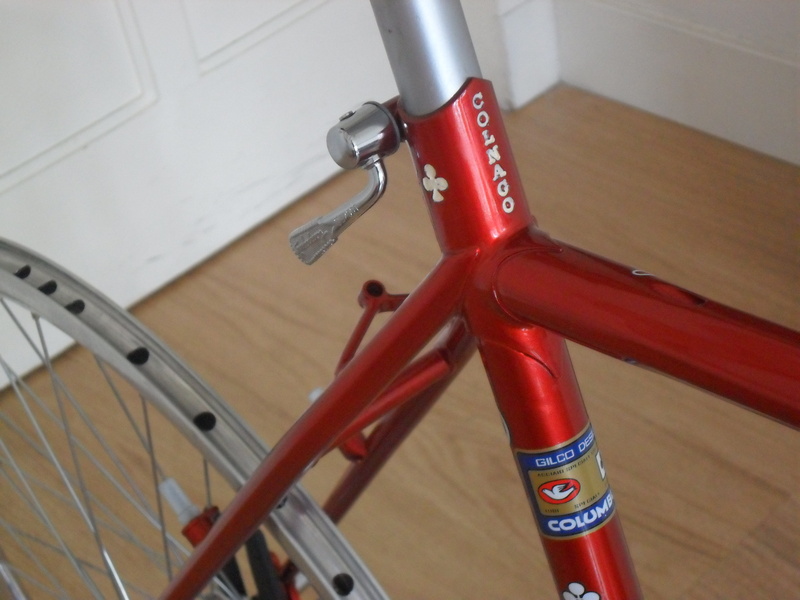 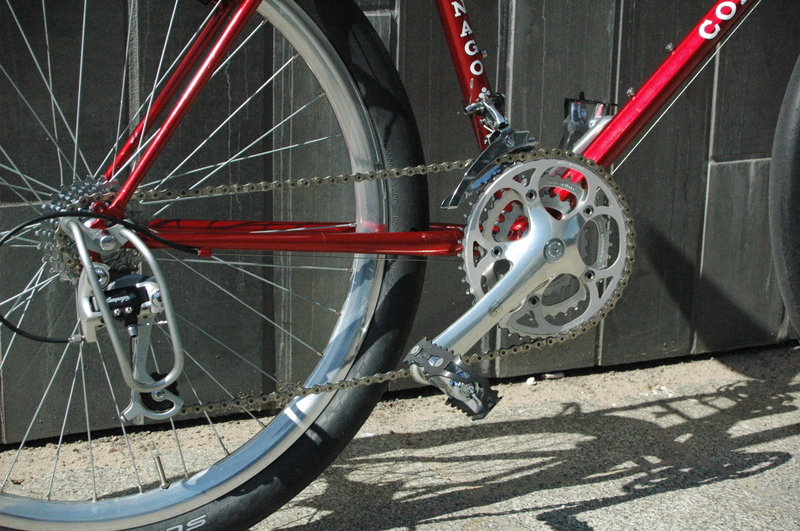 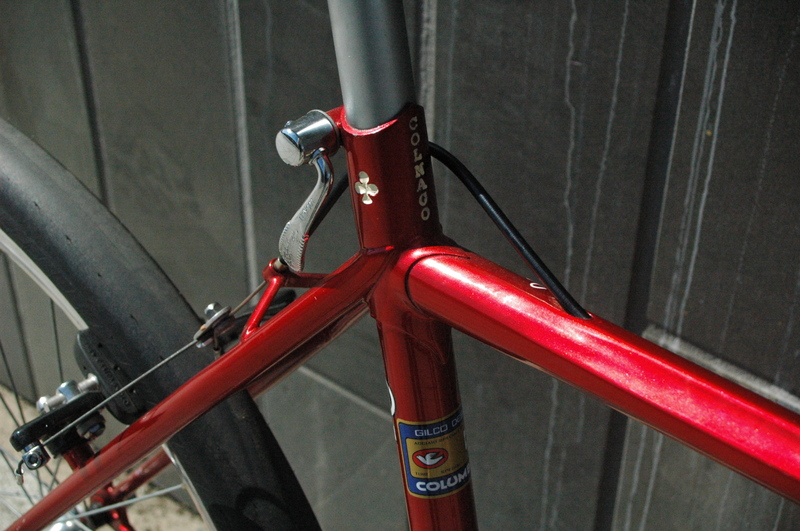 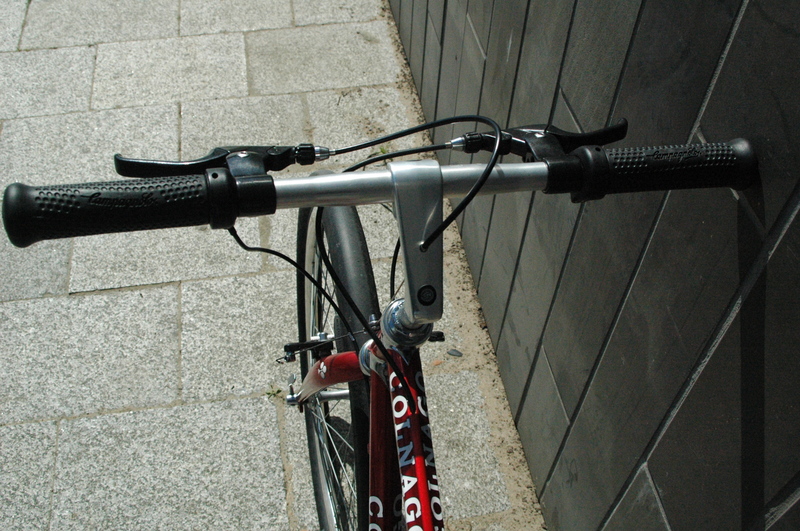 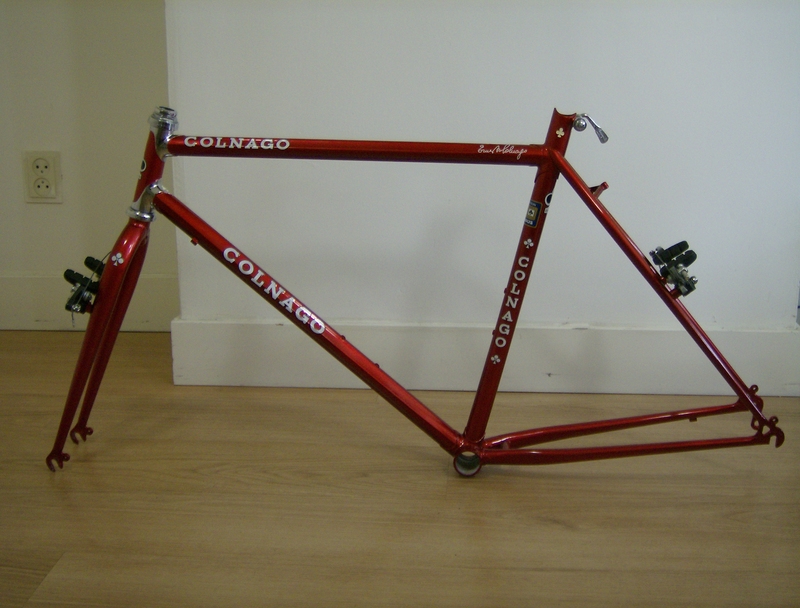 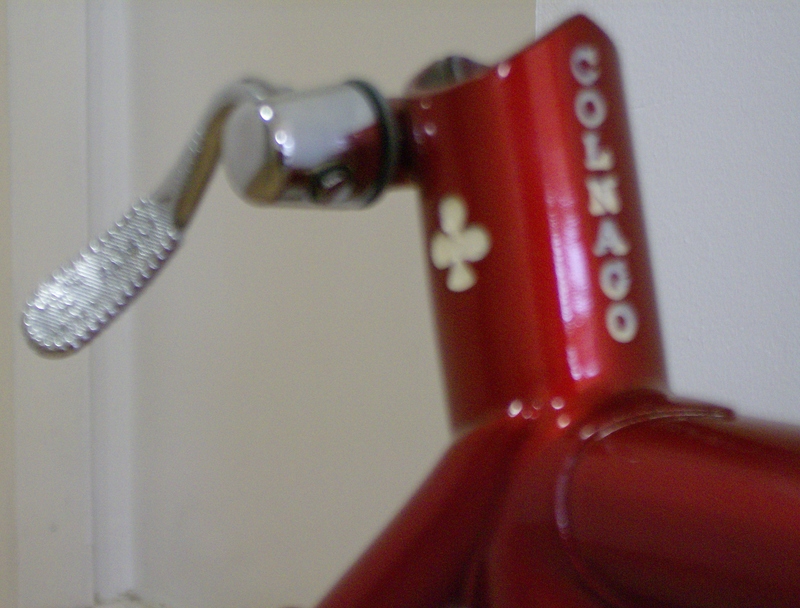 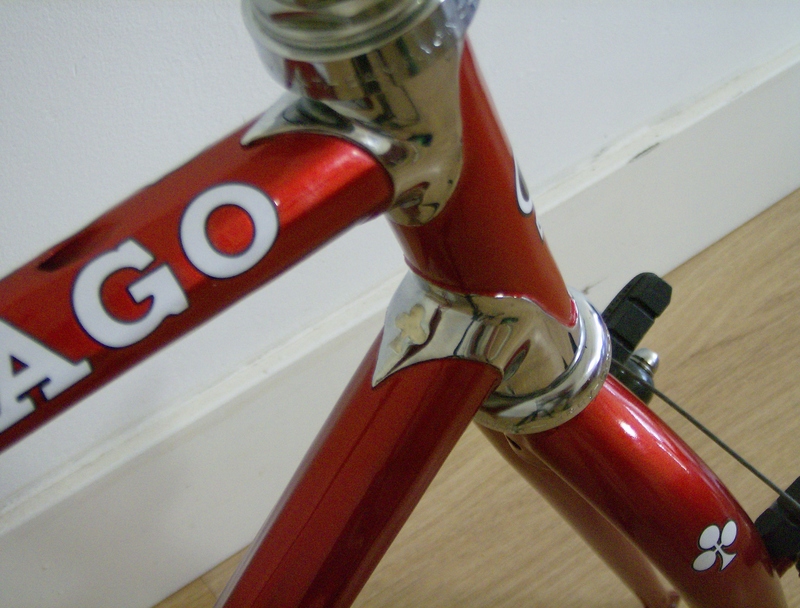 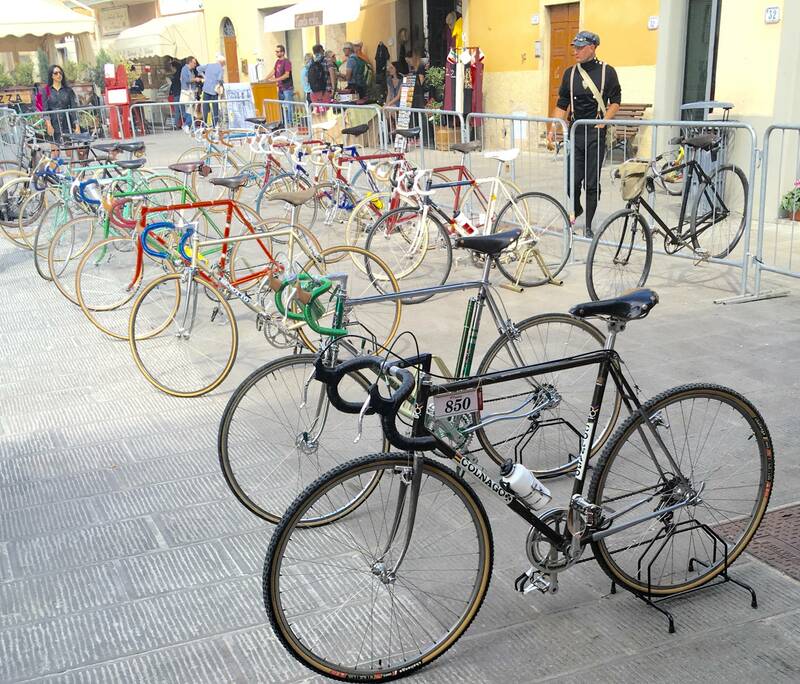 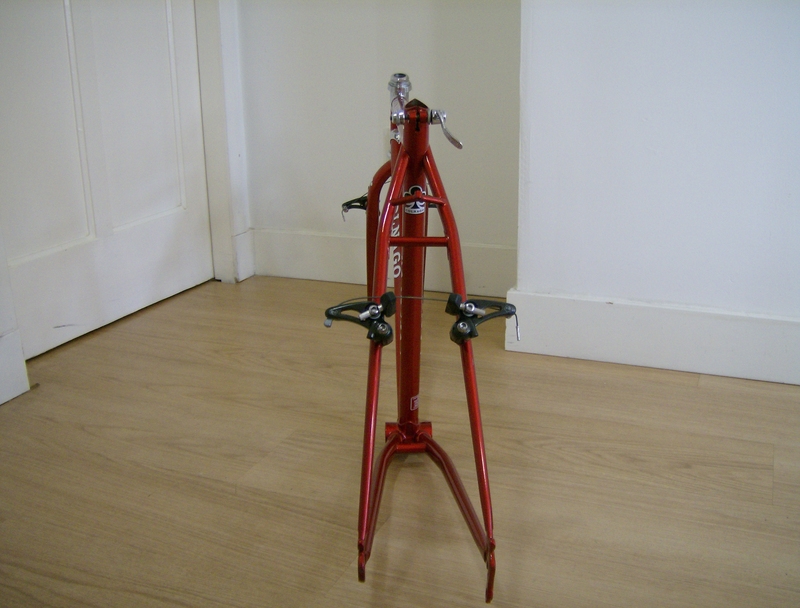 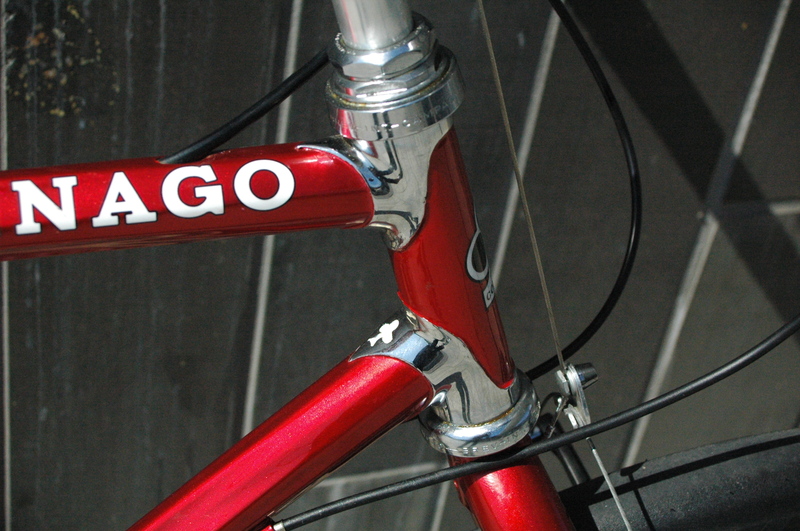 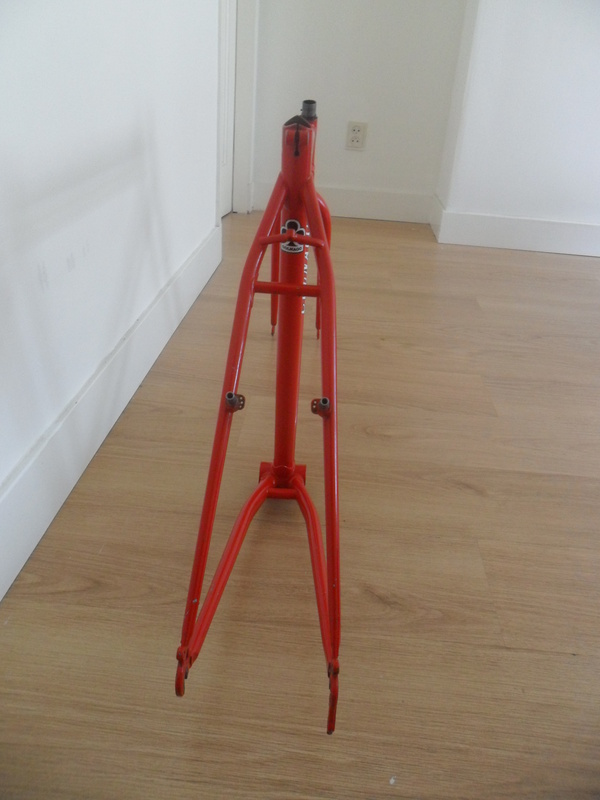 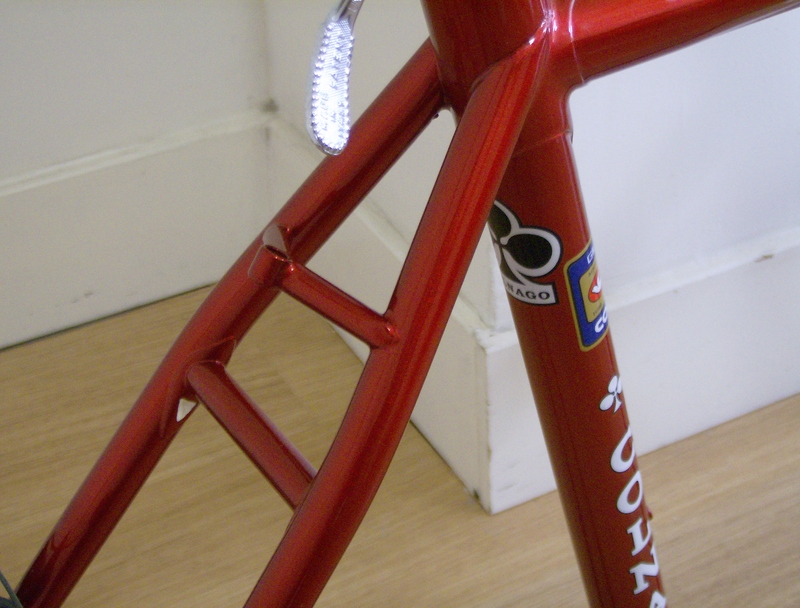 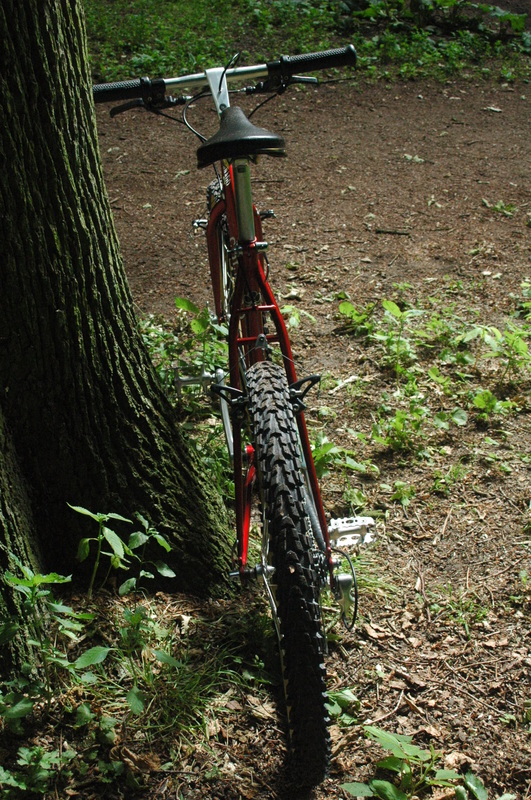 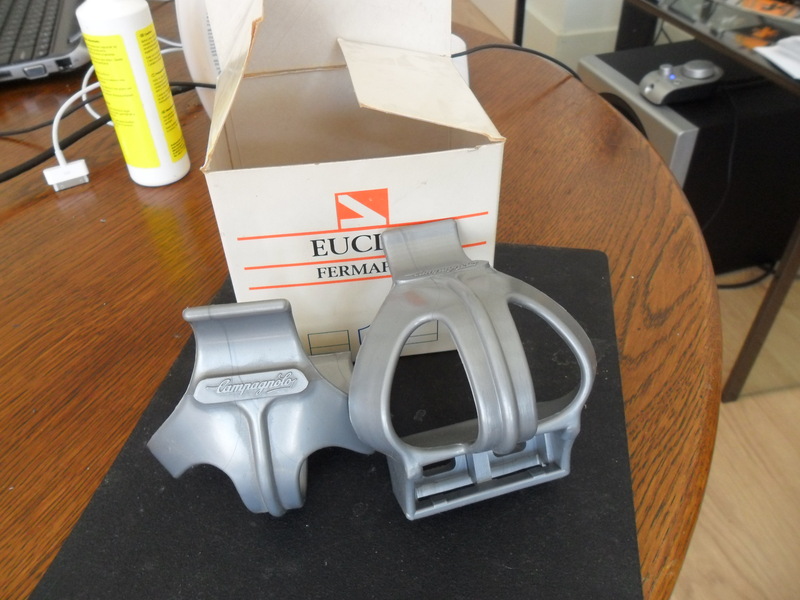 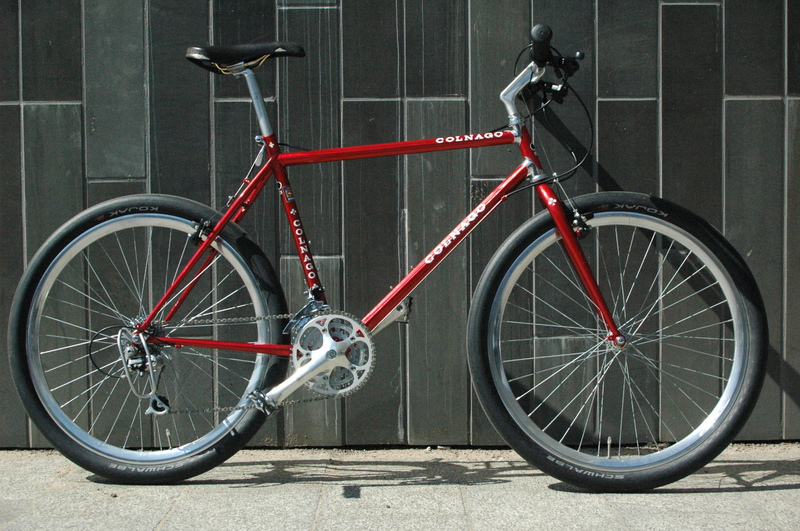 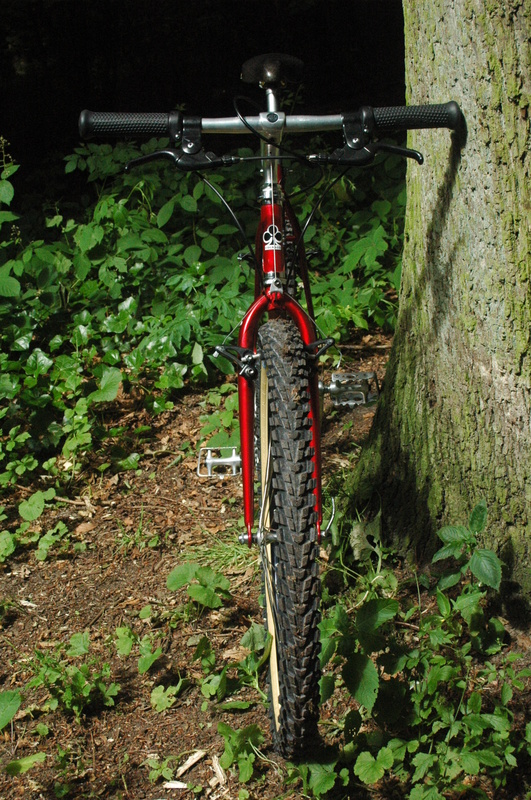 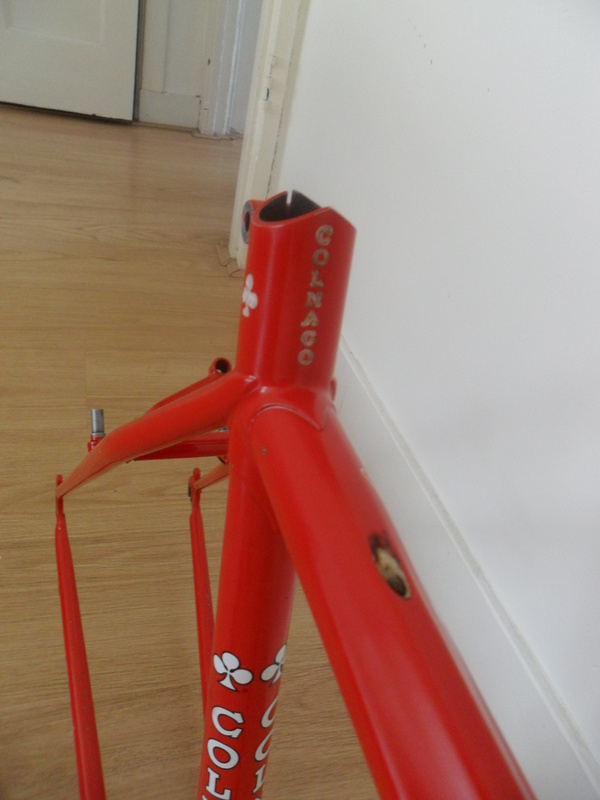 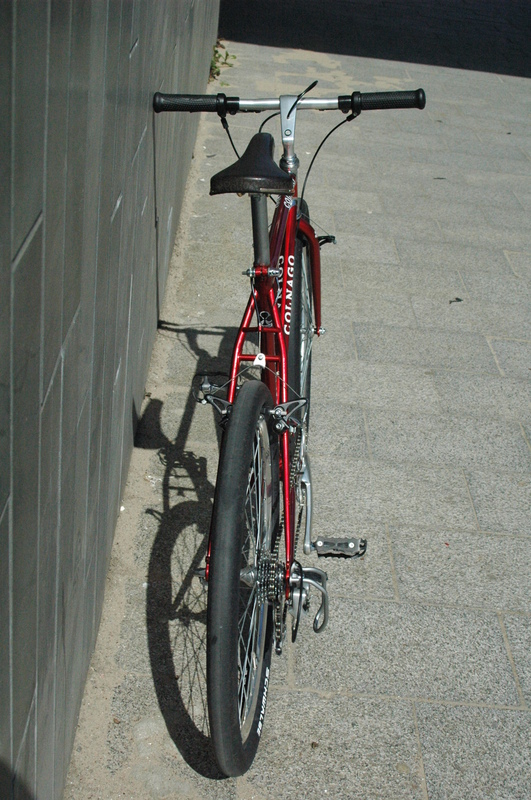 just look at the derailleur guard ! 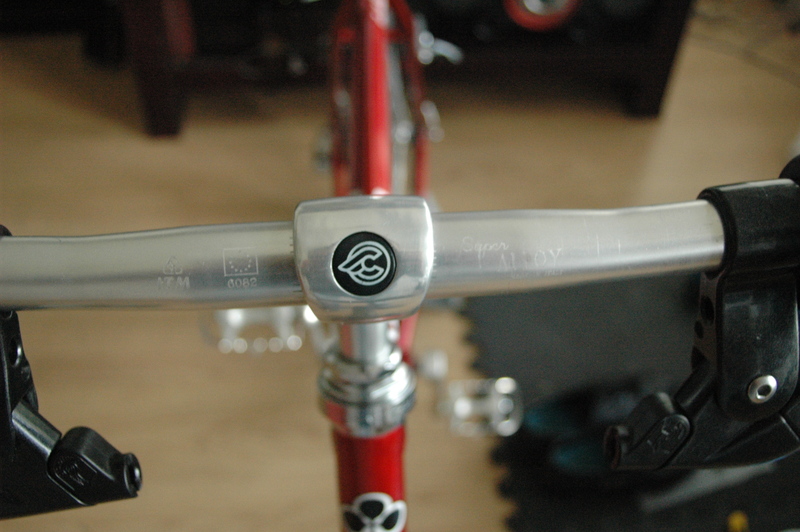 I cleaned the frameset up and added a couple of paint touch ups. 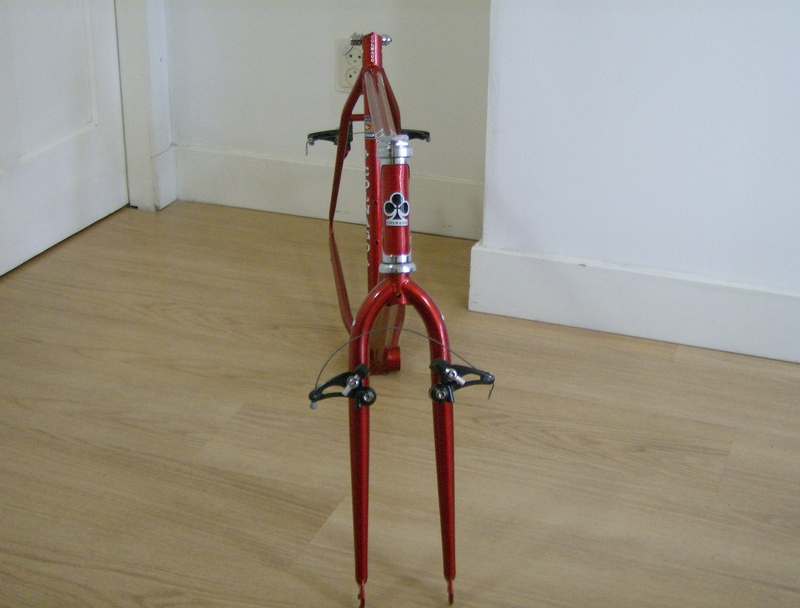 just needs the bullet shifters wired up.. 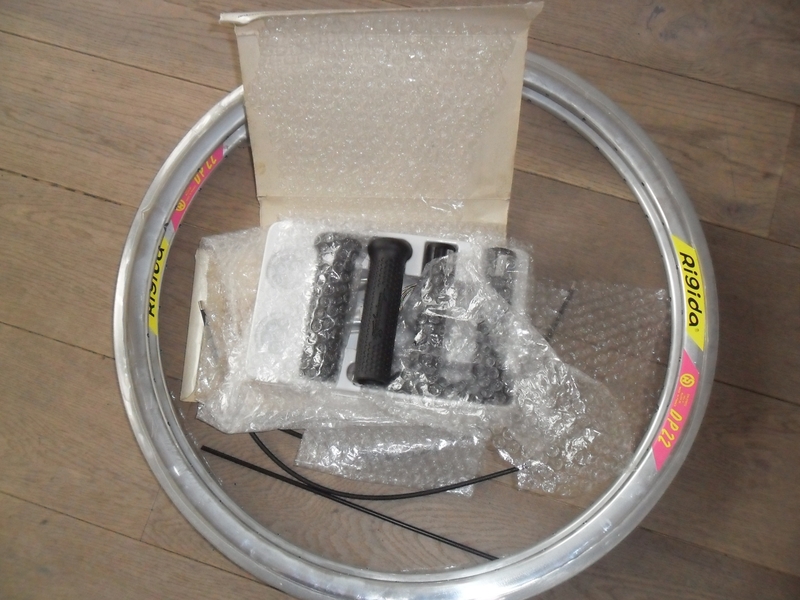 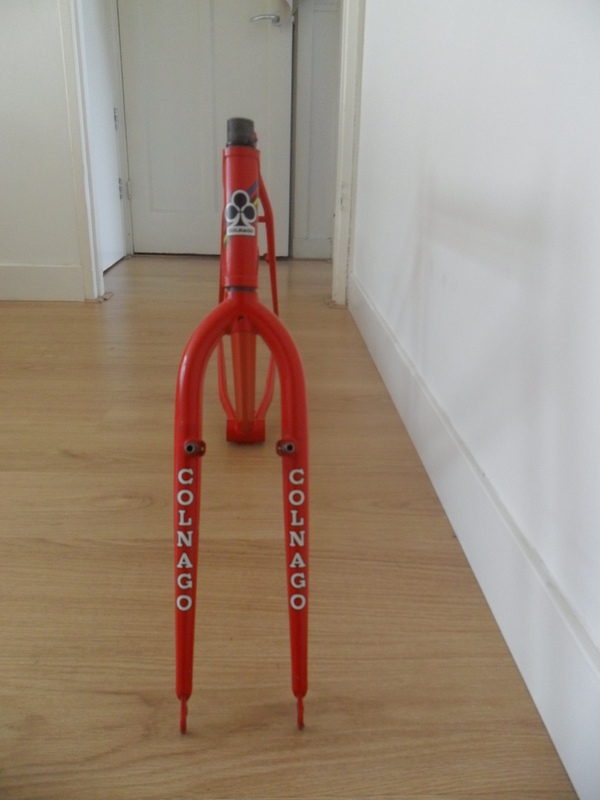 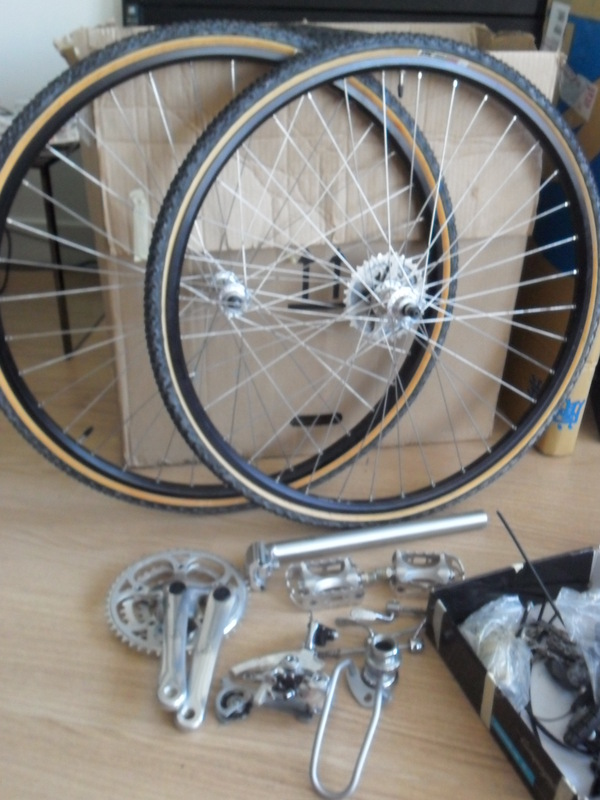 I found set of nos Tioga Psycho tyres, so I borrowed the wheelset from The Next Machine, (Campagnolo O R on Mavic SUP Ceramic rims) until I finish building a set with Campagnolo rims and Olympus MTB hubs..